There's one field of geology notably unrepresented at the United States Geological Survey: paleontology. This seems like a fairly major omission, and it's all thanks to a series of events known as the Bone Wars. During the Gilded Age (the last thirty years or so of the 1800s in America), paleontology was an incredibly competitive field. 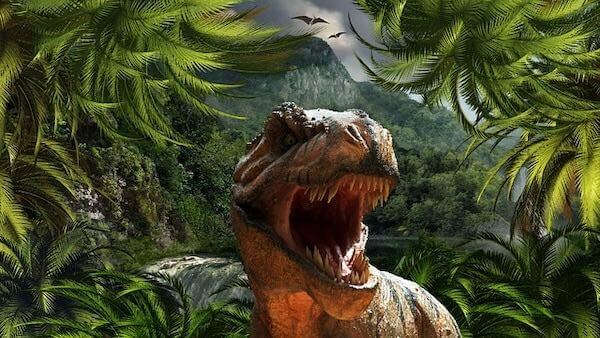 At the time, we collected dinosaur fossils more rapidly than ever before. Two figures stood out above all the rest—Edward Drinker Cope, of the Academy of Natural Sciences of Philadelphia, and Othniel Charles Marsh. Marsh and Cope began as friends when they first met in Berlin (Germany has always been a paleontological treasure trove), but their relationship began to sour quickly. By the early 1870s, things heated up to an absurd degree. A series of mishaps, oddities, and minor snubs, along with the fundamentally incompatible personalities of the two men, irrevocably ruined things between them. In 1873, the Bone Wars began in earnest. The first shots fired were academic ones: renaming and reclassifying species to mess with the other, publicly pointing out one another's errors, and the like. If things had stayed like that, it wouldn't have made history the way it did; academic rivalries are, as they say, a dime a dozen. However, the confrontation escalated rapidly from there. Marsh and Cope began hiring employees away from one another, bribing officials to advantage themselves and hurt the other, stealing fossils from one another's sites, and so on and so forth. They actively tried to destroy one another's reputations, and even turned to destroying fossils rather than letting the other get his hands on them. Financially and professionally, the rivalry eventually ruined both of them, and they never abandoned it. Unfortunately, the Bone Wars also did much to damage the reputation of American paleontology. It resulted in the loss of numerous fossils, the USGS losing its paleontology division, and a severe, decades-long blow to the reputation of American paleontology. This week, my friend The Yard Ramp Guy tells us all about placement and location, location, location. And he uses a novel way of website strategy to reflect on the right yard ramps themselves. Check out his new blog HERE. Years ago, gibbons were thought to be one of the least intelligent apes. They repeatedly failed intelligence tests that other apes passed with ease, and they were quickly written off as stupid. Then a group of researchers proposed something – seemingly obvious in retrospect – that was revolutionary at the time: Because gibbon hands weren't physically able to pick up objects from flat surfaces in the way other apes were capable, the researchers shouldn't be giving gibbons the same intelligence test as other apes. When the researchers changed the test to better suit gibbon hand shape, the gibbon test scores skyrocketed, quickly landing alongside the other apes. There's an important lesson to learn here. Summed up, we might say that judging others solely by our own standards might not be the best strategy ever. You might be wondering why I’m starting a post about whales, elephants, and dolphins by talking about gibbons. It's for this exact lesson: our past attempts to crack the code of their conversations might have been foiled for similar reasons as the gibbon example. 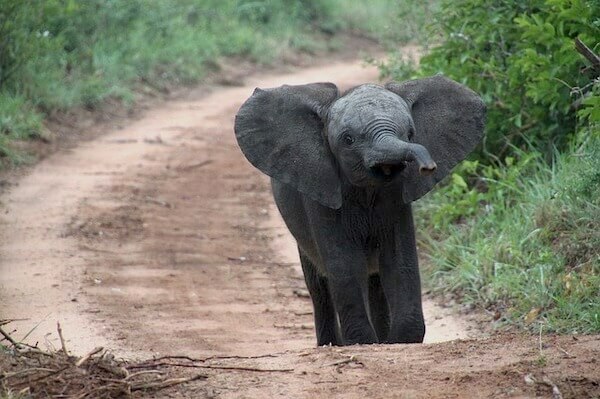 Let’s take a look at elephants first. They are tool users, have fantastic memories, are socially gregarious, are self-aware (can identify themselves in a mirror), and are generally agreed to be one of the most intelligent species in the animal kingdom. But what about language? One of our biggest clues comes from a few interesting stories about elephants traveling long distances to hold wakes. Elephants are notorious for mourning their dead. We know that they’ve also done this for humans, even going so far as to give them burials. When celebrated elephant activist Lawrence Anthony died, two herds of wild elephants that Anthony had rehabilitated traveled from hours and hours away to hold a two-day wake outside of his house. How'd they know? Well, it turns out that elephants are capable of generating incredibly loud noises that travel for miles and miles. Amazingly, those “loud” noises are too low for humans to hear. They can talk with other elephants at great distances and, apparently, are capable of conveying fairly complex information. It goes deeper than that. Elephants appear to have massive numbers of learned behaviors—not just tool-using skills but also, apparently, cultural ones. Researchers have discovered surprisingly different social structures between herds, even among the same species. It would seem utterly astonishing if this was all accomplished without language of some sort. Similar traits apply to dolphins and whales. Both are capable of making noises well above and below our hearing ranges. Both are also incredibly intelligent and social. If we want to learn whether elephants, dolphins, whales, or other species truly have language—or, even more dauntingly, learn to understand or even speak it—we'll need to learn to start understanding how the lifestyles and physiologies of these animals would alter their needs and abilities in terms of communication. We can't merely judge them by human standards. This week, my friend The Yard Ramp Guy describes the choices to make when it comes to renting or purchasing one of his quality forklift ramps. Seems you won't go wrong either way. I just scampered in from Jackson Hole, and man are my dogs tired. Last time around, we looked at animals speaking human language. What about humans trying to speak animal language? Well, somewhat embarrassingly—and other than some scientifically and ethically suspect experiments with dolphins back in the day—we really hadn't tried too hard until fairly recently. We're looking into it with a vengeance now, and we're coming up with some astonishing results. First of all, we've got parrots (like Alex) in the wild. We've confirmed they have words for specific types of predators, foods, etc. The most fascinating thing we've found, though, is that they give each other names. Each parrot has a distinct name that remains throughout its entire life, given to it by its mother. That's…pretty astonishing. Next, we have prairie dogs. (Not groundhogs, I know; I couldn't resist the title.) 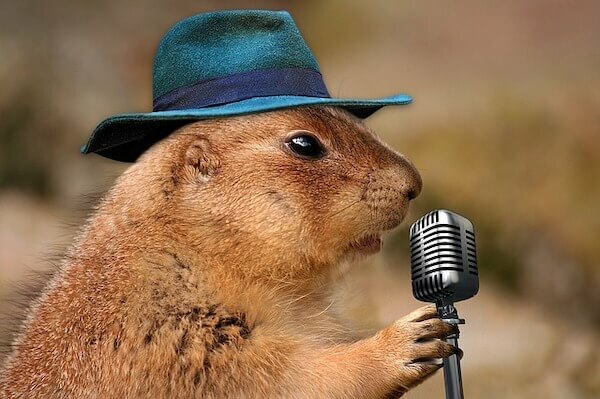 Prairie dogs live in huge underground communities, and scientist Con Slobodchikoff has been studying their vocalizations fairly intensely over the years. He's confirmed they have a variety of different danger calls. Essentially, they have words for hawk, human, coyote, and even domesticated dogs. This is quite useful, since each threat demands different responses. Here's where it gets crazy, though: Slobodchikoff tried sending people, dressed differently, through the prairie dog villages and eventually realized that prairie dogs had the words that actually described individual humans. He found that the prairie dogs could differentiate the color of the humans' shirts, as well as differentiate between different shapes on their shirts. The prairie dogs could identify the difference between triangles and circles, but not circles and squares. The ability to use adjectives like this is far from one expected in a species of rodents. This week, my friend The Yard Ramp Guy continues to honor the beauty of a yard ramp with a terrific perspective on its logistical and economic value. That, you know, involved Alex understanding more than a hundred words. He could identify more than fifty different objects (and could even tell you what color it was or what material it was made of), could count to six, and even knew how to apologize and when it was appropriate. Alex could invent names for things (he called apples “banerrys,” presumably a combination of banana and cherry, which he was more familiar with). They were the last words he ever spoke to her. He died in his sleep at age 31. So why, exactly, did Pepperberg refuse to say Alex used language? Well, it's because of linguists. Or, more precisely: the animal intelligence debate, and the role linguists and animal cognitive scientists play. The debate is a complicated, in-depth, challenging thing, and trying to summarize doesn't do it justice. But I’ll give it a shot. 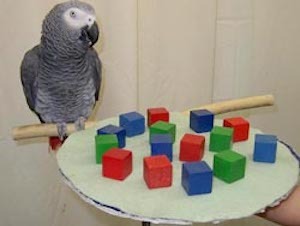 Alex the grey parrot is hardly alone as evidence for animals being able to speak language. Gorillas and other great apes, for example, have been taught to speak sign language. Dogs and many other domesticated animals can learn extensive commands in human languages, though how much is them actually understanding and how much is them just learning behavioral triggers is a point of massive contention. All that being said, Alex is the only known animal to have been able to ask questions, so that somewhat leans things back toward the linguist side of the argument, outside of Alex himself. Here's the tricky bit, though: all of the above are animals trying to speak human languages, not humans trying to understand animal languages. This week, my friend The Yard Ramp Guy waxes in a fine way about the beautiful simplicity of the yard ramp. Honored that he quotes me in the piece.